Wellesley College, Green Hall 330, Alexey Osipov and Andrei Reshetnik - guests of the Advanced Russian class (Professor Alla Epsteyn). Musical Profession: A discussion with advanced students of Russian. 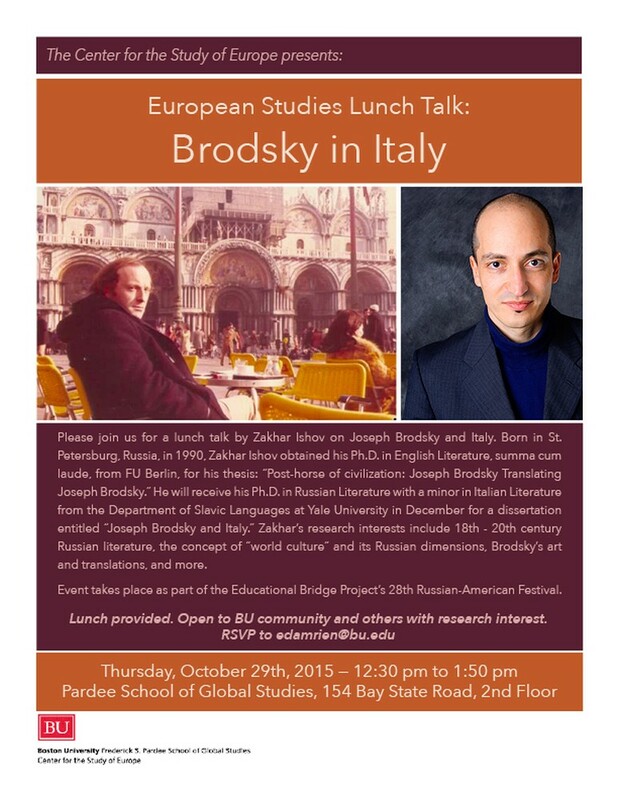 BOSTON: The Educational Bridge Project announces that its 28th Annual Russian-American Festival, Days of Russian Culture in America, will take place from October 20 to November 1, 2015 at sites throughout the greater Boston area. The festival will feature musicians and lecturers from prestigious Russian and American cultural and educational institutions, including St. Petersburg Rimsky-Korsakov Conservatory, St. Petersburg Baltic State Technical University, Harvard University, Boston University, Wellesley College, Sharon Music Academy, New England Conservatory and Tufts University. Many of the festival participants are returning to Boston, including the famous Russian piano pedagogue Zora Tsuker, coloratura soprano Maria Lyudko, a rising young star violinist Alexey Osipov, and movie and theater actor and clarinetist Georges Devdariani. Professors and students from non-musical fields represent such diverse areas as informatics and computer engineering, radio electronic systems and sets, mechatronics and robotics, and navigation support for space applications. For this group, tours and meetings have been scheduled with their American colleagues and fellow-students from the University of Massachusetts, Amherst, Boston University, Harvard University and MIT, among others. 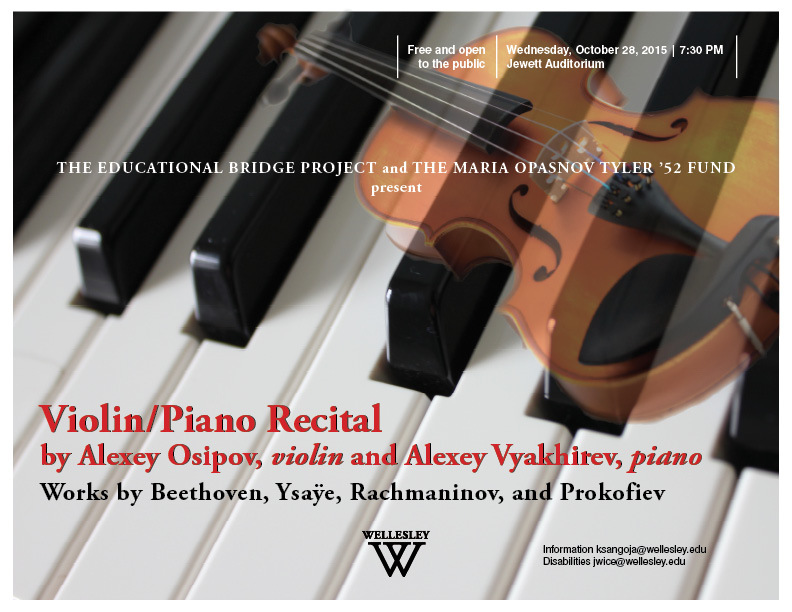 The Educational Bridge Project was first established in 1997 by Boston University Professor Ludmilla Leibman to foster the exchange of music and musicians between Boston and St. Petersburg. Over the years since, twenty seven festivals have brought together hundreds of musicians, art historians, museum curators and educators to collaborate in performances, share ideas in discussions and learn about new teaching methods. Through these initiatives the Project has contributed to building artistic, educational and humanitarian bridges between the peoples of the United States and Russia. The Educational Bridge Project is a 501 (c) (3) charitable organization.